Being able to stock up on your Keto essentials at Wholesale Club prices at a place like Sam’s Club can really make a big difference on your food costs. There will be some great deals to be had, but you most likely will still not be able to get all of the grocery items that you will need. Whether you are shopping at Costco, Sam’s Club, BJ’s or another similar club-priced store there are bound to be a lot of good deals to be had for everything from snack foods to meal-prep basics. This list is not 100% comprehensive, meaning that there are going to be food items that I missed that would still be Keto. I do plan to update this list from time to time as I come across more items in my Sam’s Club journeys when I find a new suitable item. Feel free to leave your favorite items in the comments below, and I may get those added to my list too if I concur the nutrition labels are good to go. Feel free to print out this list and take it with you as a reminder when you head to Sam’s Club the next time. If you don’t have a Sam’s Club membership, or just prefer to purchase through Amazon, I have linked many of the items below so you can add those to your cart and order through Amazon too. 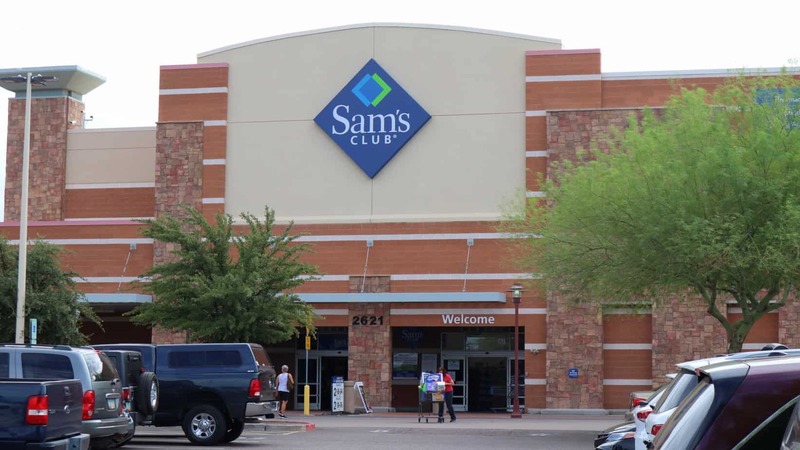 Sometimes prices can be higher or lower at Sam’s Club compared to Amazon, depending on what the item is and what seller you purchase it for, FYI. Prices will typically be SIGNIFICANTLY cheaper at Sam’s Club in person. If you are also interested in checking out my Costco Shopping List you can check that out by clicking here. You can access our Keto Approved Trader Joe’s Shopping List here. Please please make a list for BJs! Thank you! Raspberries, Blueberries, and Strawberries. Those are on the list under the Produce category. I didn’t see any raspberries on any of the produce lists for any of the stores thus far. Really timely and wonderful information. Thanks for posting! I do so much shopping at SAMS. This was very helpful. Thanks for the support Ruth! Thanks for sharing this, definitely helpful. I live in the middle of no where Montana and drive almost two hours just to go shopping. Thanks for making it easier. Is the meat grass fed? Made my shopping trip easy-peasy! What about their green olives? I think they are called Queen? The Members Mark Parmesan Crisps are great! But you will get sticker shock at about $9.50 a bag! The Cello Whisps at Costco are around the same price too. Sam’s has very little organic, what good is Keto if it is loaded with undesirable ingredients.